I provide rights-managed licensing of my photos for specific usages, whether for use in magazines, advertisements, retail displays, presentations, websites, etc. 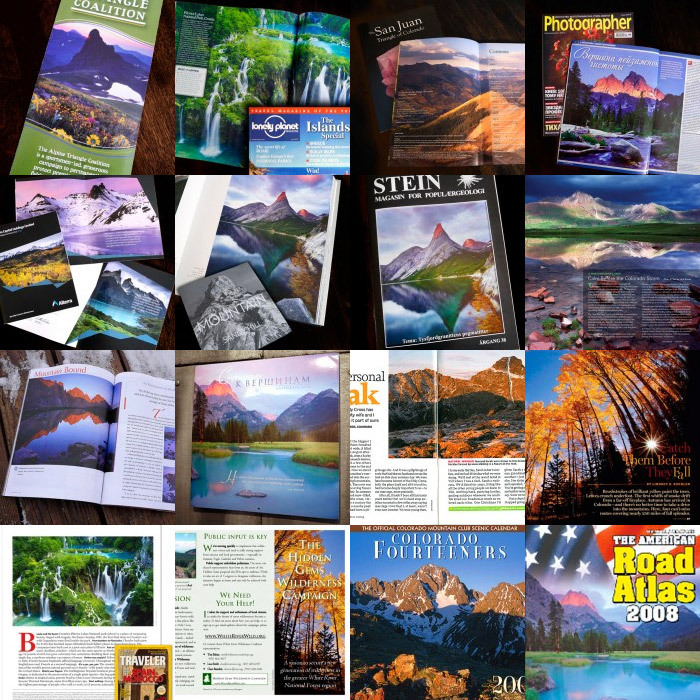 Clients have included Apple Computers, National Geographic Traveler, Backpacker Magazine, Alpinist, Climbing Magazine, Lonely Planet Magazine, Sojourns Magazine, 5280 Magazine, Cowboys & Indians Magazine, The Trust for Public Land, Wilderness Workshop, and many more. Please contact me with any inquiries, and I will get back to you as soon as possible with a quote. Please provide the following information: which image(s) you are interested in, a detailed description of the desired usage, a brief description of the company and industry, the image size(s) required, the print run and distribution territory (if applicable), and the duration of the license. I use standard stock industry pricing scales to determine the costs based on the usage requested. In most cases I do require payment prior to delivery of the image file. Once I receive payment (via credit card, check, bank transfer, paypal, or western union), I will immediately post the high-resolution image file for you to download, along with an invoice that details the terms of your license. If you are working in a corporate enviroment that requires invoicing first, I can work with you as well. If you've browsed through my galleries and can't find what you're looking for, try looking at my search index, which contains my entire archive of photos, including many that are not in the galleries. Or just contact me with any questions.